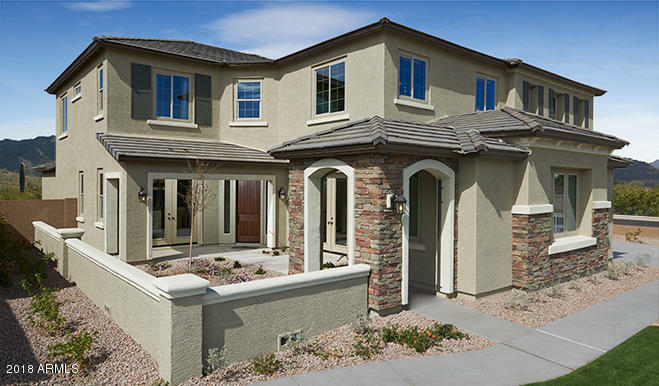 Located in beautiful Queen Creek, Sossaman Estates offers six inspired ranch and two-story floor plans with spacious main-floor master suites and ample opportunity for personalization, including flex space, lofts, guest suites and more. Residents will appreciate close proximity to popular schools, playgrounds and shopping as well as easy access to Mesa Gateway Airport and the Loop 202 San Tan Freeway. The Heidi's exterior includes a wide covered porch, covered patio and front and side-entry garages. Inside, you'll find a study off the entry, an expansive kitchen with center island and breakfast bar, a walk-in pantry, a great room and a formal dining room. The main-floor master suite has a deluxe bath and walk-in closet.